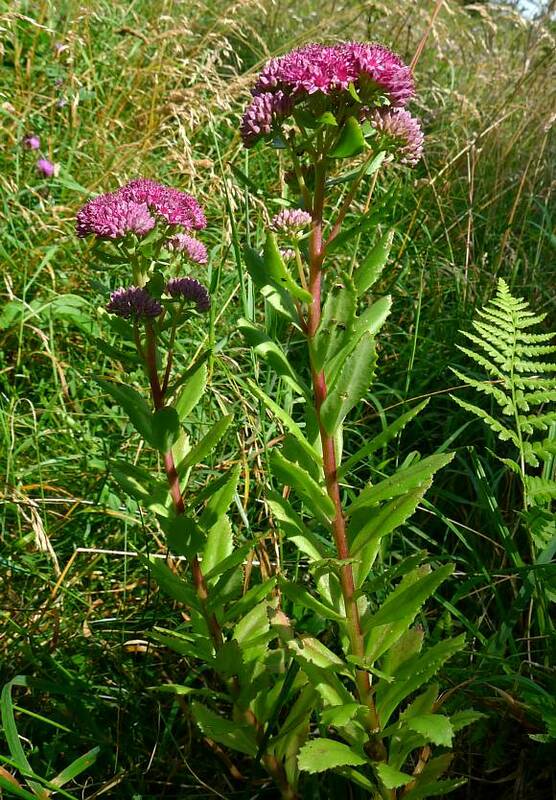 The tallest UK Stonecrop, reaching 60cm high, in particular taller than Ice-Plant. 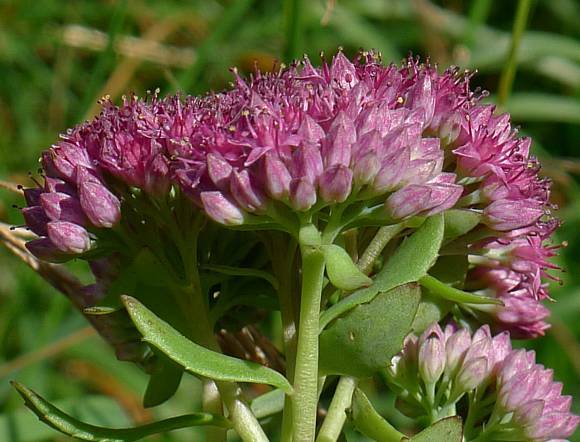 The heads are also narrower but more rounded than the broader flatter flower-heads of Ice-Plant. In a garden. Leaves on all sides of the single stem. 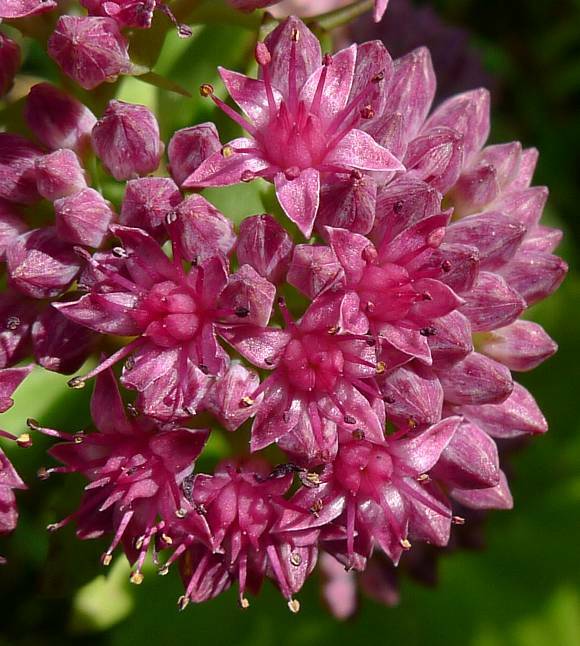 Flowers clustered together in a sort of umbel. Un-opened flower buds pink. Stems thick, succulent, pale green and reddening . Flowers pink to red and nominally with five petals (although one with four can be found in the centre). Leaves sessile (without stalks) in ssp. telephium. Ten pink/reddish stamens with red anthers turning fawn. 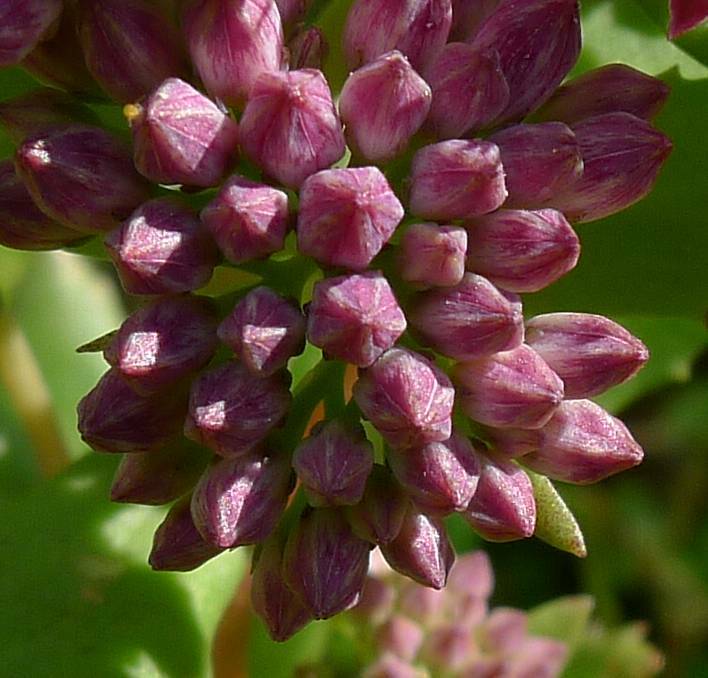 At between 3mm and 5mm it has smaller petals than does Ice-Plant aka Butterfly Stonecrop which are between 5.5 to 8mm across. 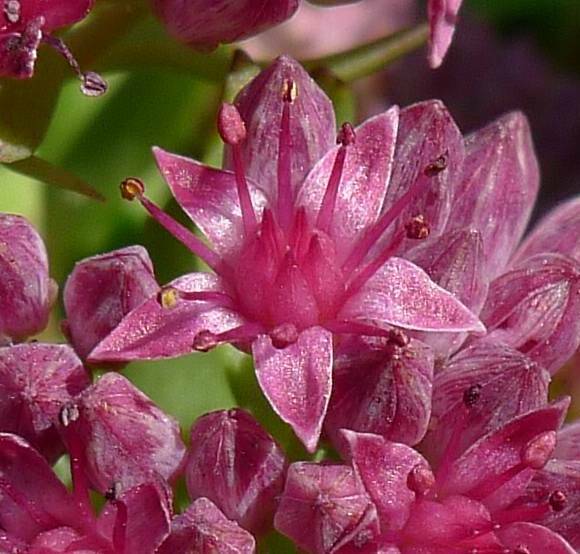 Flowers are bisexual, with 5-pointed reddish structure in centre. Un-opened flower buds 5-sided and pink rather than red. 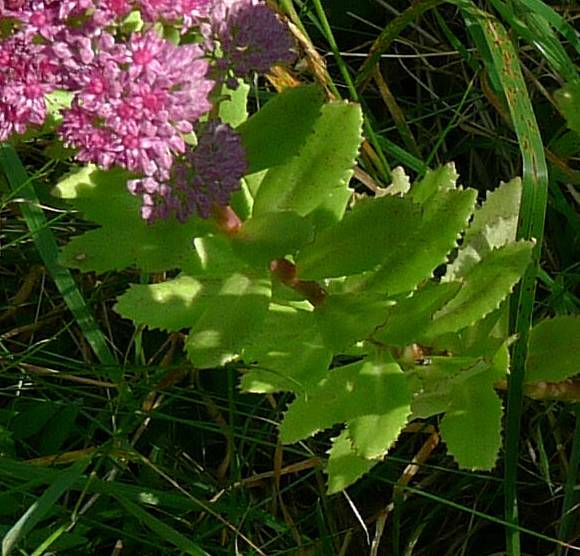 Leaves narrower than those of Ice-Plant aka Butterfly Stonecrop. 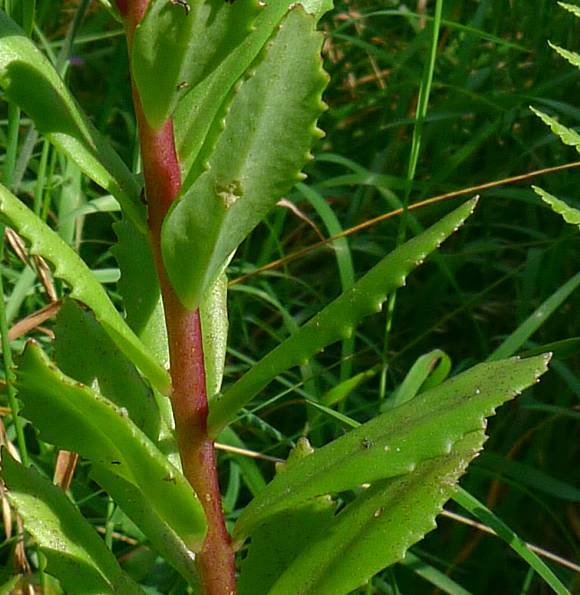 Leaves serrately toothed (rather than the creanate (convex) teeth of Ice-Plant aka Butterfly Stonecrop. 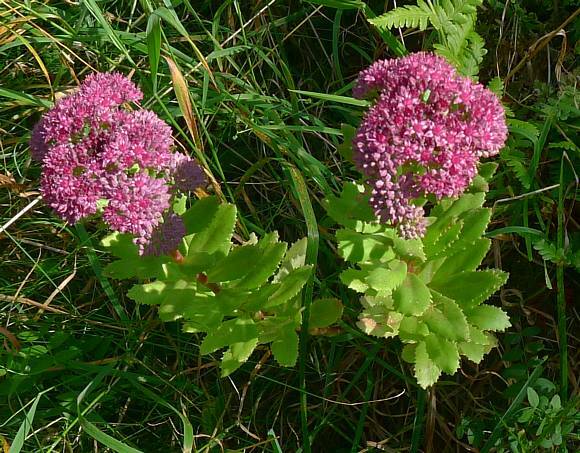 Orpine (Sedum telephium ssp. fabaria) is much more common in the UK and with leaves usually sessile (un-stalked) and tapering to a cuneate (concave) base. 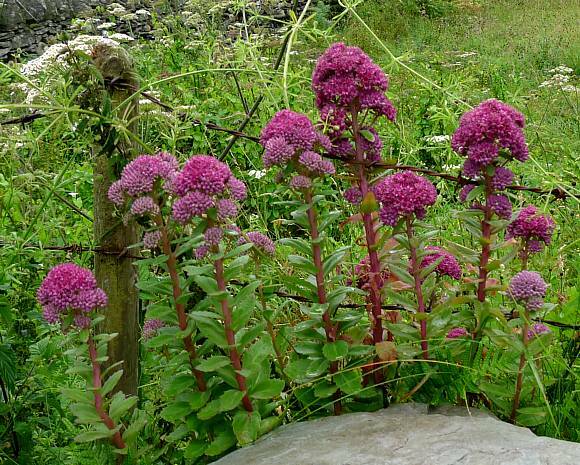 The above photographs probably correspond with Sedum telephium ssp. fabaria. 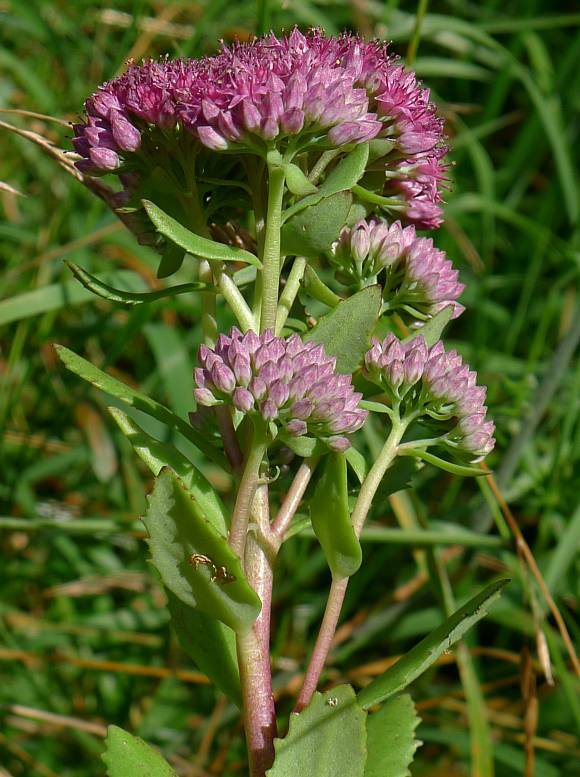 Some similarities to : Roseroot another sedum with similar leaves but with larger and yellow not red flowers. 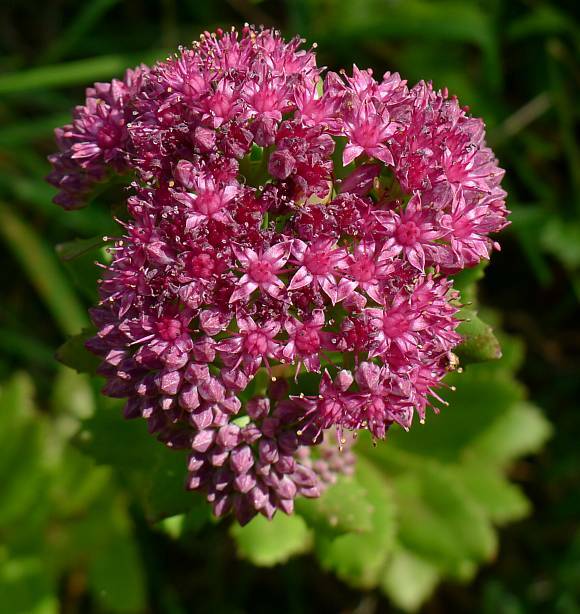 Slight resemblance to : Caucasian Stonecrop (Sedum spurium) in that it also has red flowers of similar size. No relation to : Ground Pine (Ajuga chamaepitys) [a plant with similar name but in a different family]. 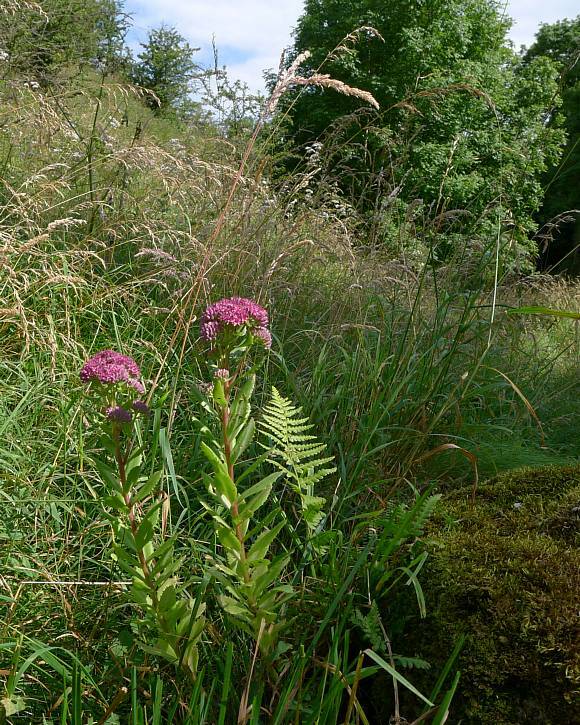 You are much more likely to find this growing in or near a garden than growing in the wild, but it does sometimes, usually as escapes.